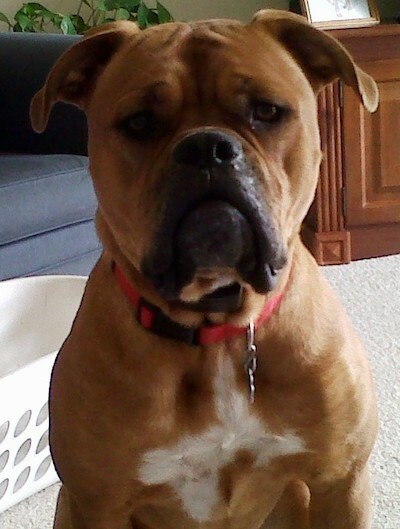 "Belle is an American Bulldog and English Bulldog Mix. Mom was an American Bulldog and dad was an English Bulldog. She is a very loving dog and doesn't realize that she is 95 lbs and often thinks she is a lap dog. She was easily house trained and is very smart."